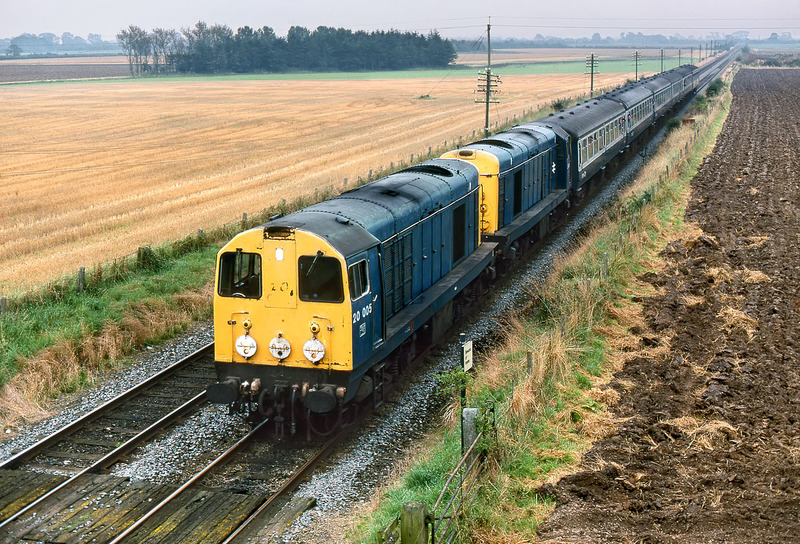 20005 & 20048 slowly approach the sharp curve at Firsby on 17 September 1988 with the 1E48 10:15 Skegness to Sheffield service. On this occasion it was lucky that it was a dull day, as otherwise this would have been a hopeless viewpoint. looking straight into the sun!